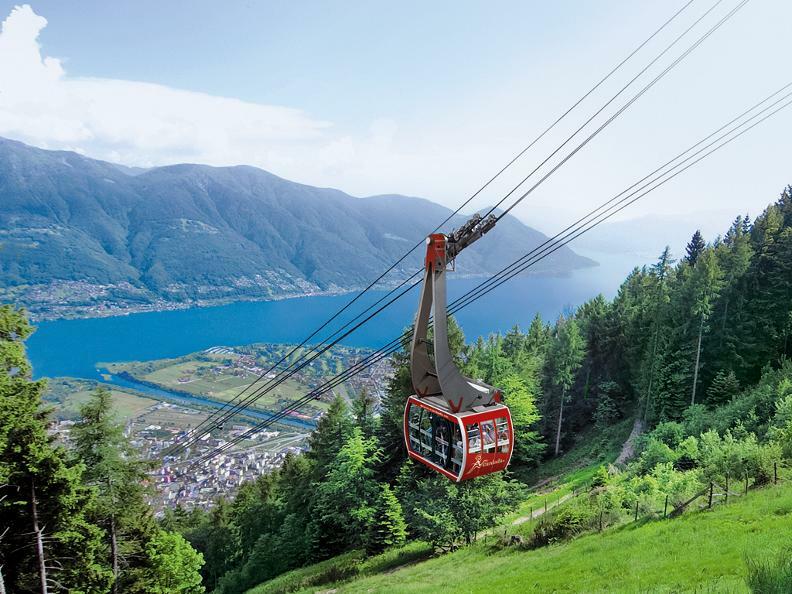 Take the five-minute suspended cable car ride from Orselina to Cardada and find yourself immersed in a striking alpine setting. Follow the short paved path through the pines until the chairlift departure to Cimetta. 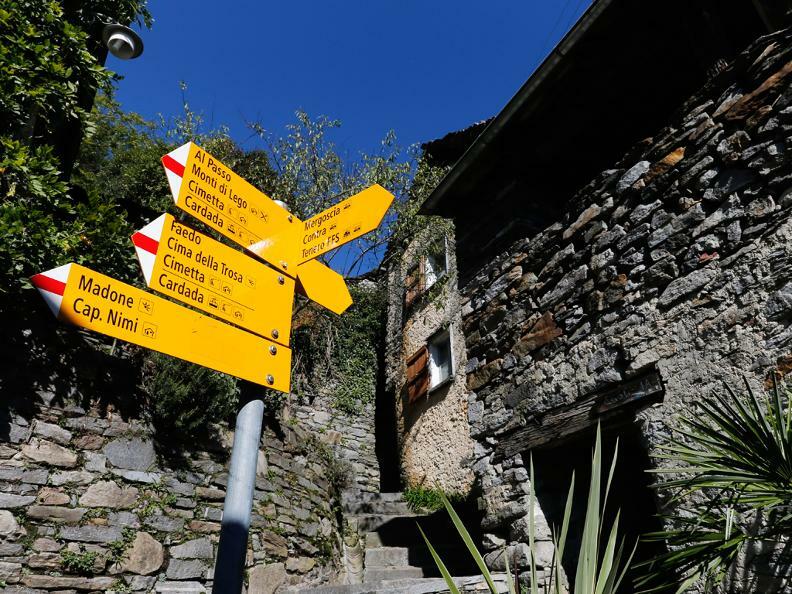 From here you face the only real climb of this itinerary. 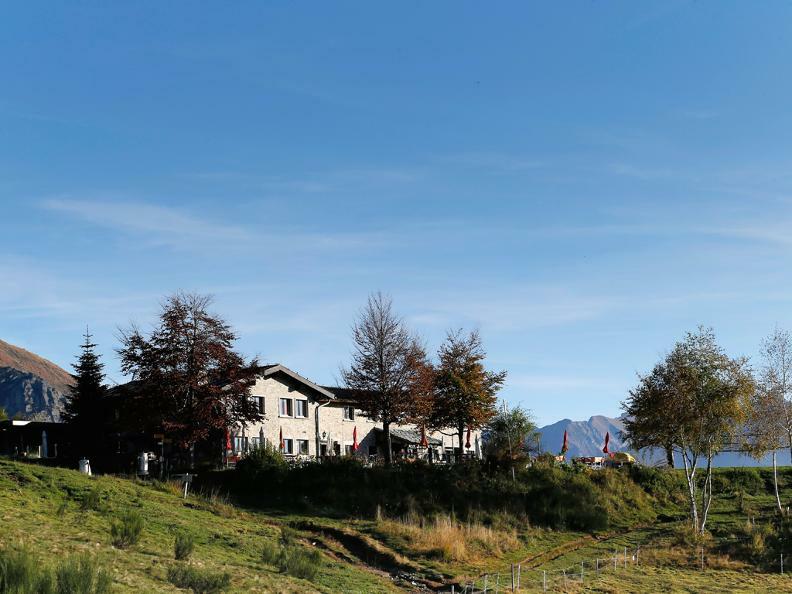 Pass a low vegetation area, some pastures, and a restaurant with a beautiful panoramic terrace and reach Alpe Cardada, where you find another cozy facility that offers food and accommodation. From here take the trail that goes through the slopes just below Cima della Trosa, in the upper part of the wild Val Resa, and begin the long and rather steady descent toward Monti di Lego. 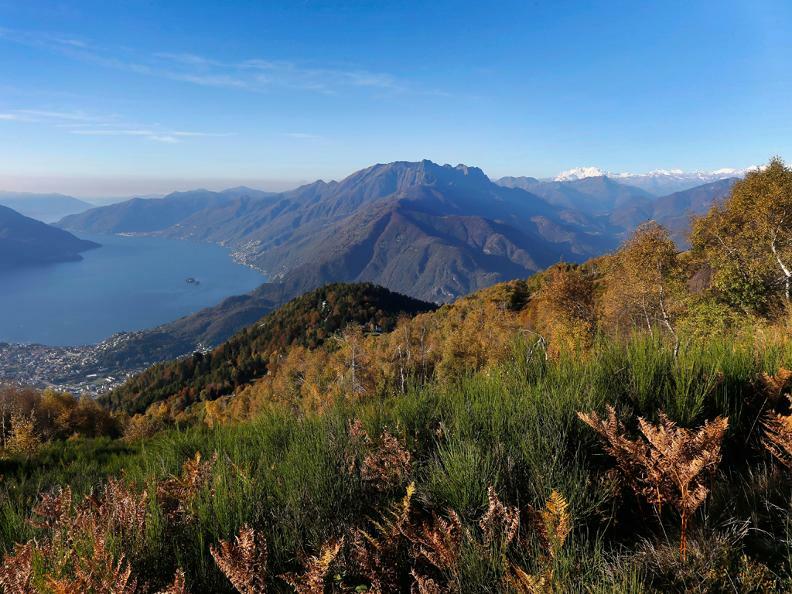 The landscape is striking, with beautiful views of the Magadino Plain and the mouths of the Ticino and Verzasca Rivers. 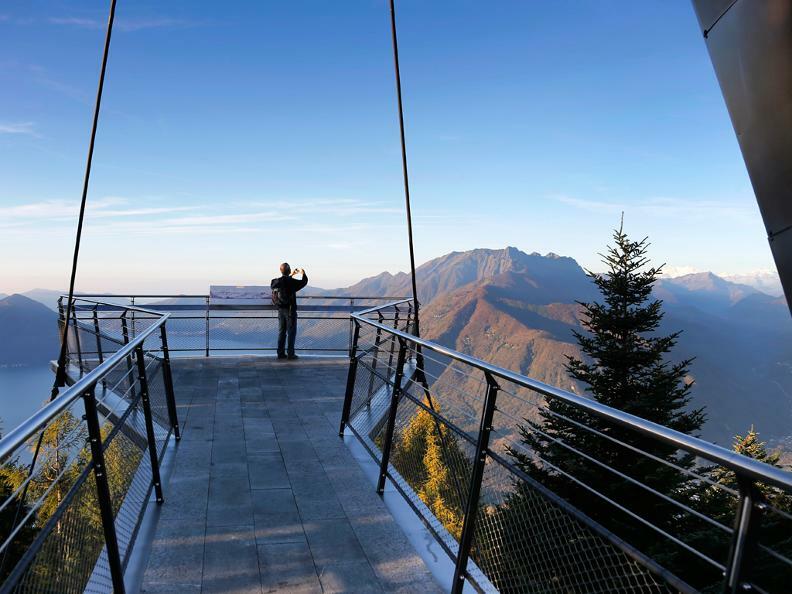 Monti di Lego is a true natural terrace, from which you can enjoy a magnificent panorama including Lake Maggiore, the Magadino Plain, and Valle Verzasca. You can also eat and spend the night in the small hut here. From here, the trail descends steeply, mostly in the woods toward Viona. 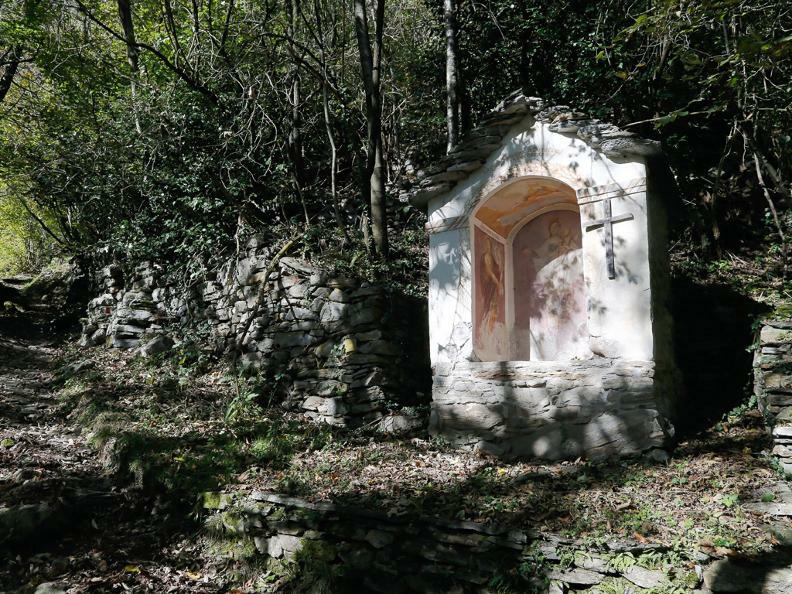 Along this path is one of the most interesting cup-marked boulders in Ticino. Pass through Viona and reach the paved road. After a short stretch, take the trail that goes by the old Roman bridge («El pont del Sipp») and a chapel (Capèla Rota). 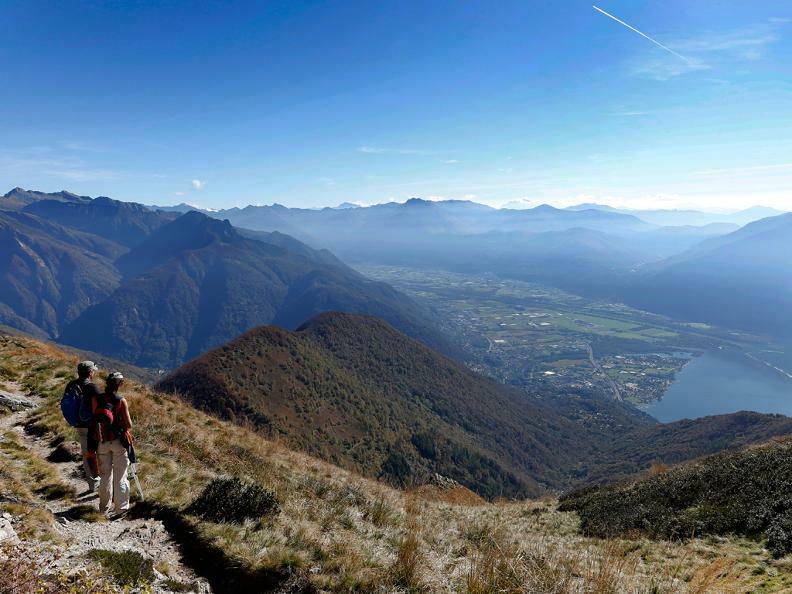 Continue the descent until you reach the center of Brione sopra Minusio.